Watermelon juice given a twist by adding cranberry juice. Hurry up, try this before the watermelons start disappearing from the grocery stores !!! 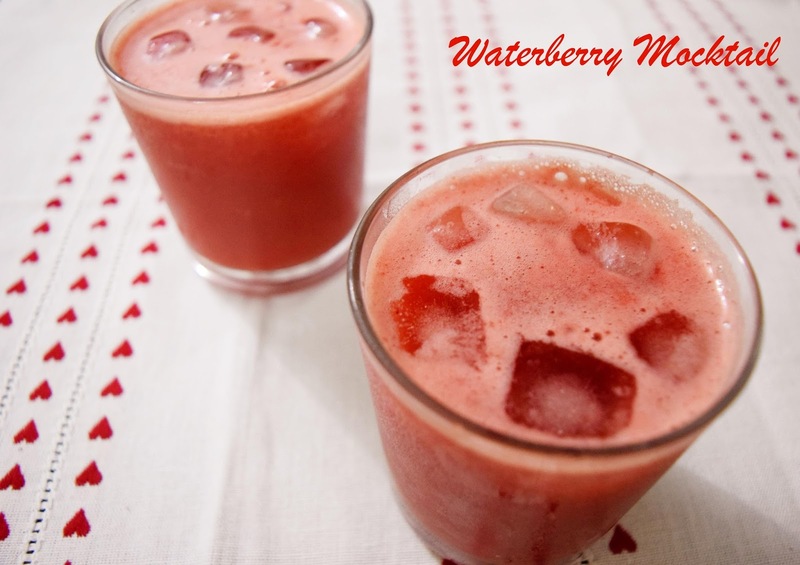 Blend watermelon, cranberry juice, rose syrup/essence and palm sugar. Add water if required.